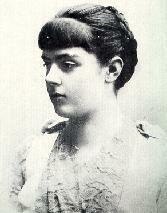 Daughter of Baron Vetsera and Helene Baltizzi. Marie Larisch, a niece of the empress Elisabeth, introduced her to crown prince Rudolf of Austria and they became lovers. On 30 Jan 1889 they were both found dead at Mayerling. It's unclear how Mary died. She was probably shot by Rudolph before he took his own life. 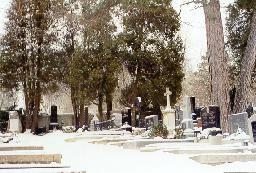 Mary was secretly buried at night at the cemetery near Heiligenkreuz Monastery. A chapel was erected by her mother in her memory. Heiligenkreuz cemetery near Vienna. 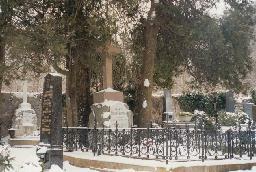 Here Mary Vetsera was buried after she was found dead together with crown prince Rudolf. 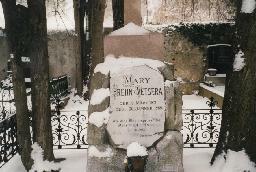 Mary Vetsera's grave at Heiligenkreuz cemetery. Schloss Mayerling, where crown prince Rudolf of Austria and his mistress Mary Vetsera committed suicide. 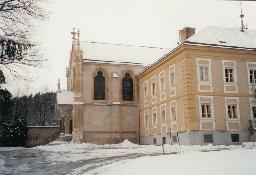 The chapel of Schloss Mayerling, at the exact spot where crown prince Rudolf of Austria committed suicide on 30 Jan 1889. 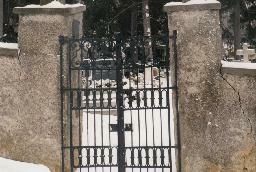 The gates of Heiligenkreuz cemetery near Vienna. 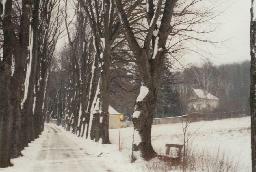 The road to Heiligenkreuz cemetery near Vienna.